If swinging a club is your thing, you're spoilt for choice in Canterbury. Take your pick of more than 40 golf courses in the region ranging from Championship par 72 courses to quaint country greens with honesty boxes for payment. – from casual country courses to international golf resorts. Almost every town boasts its own course, dotted along the coast, spread across the patchwork plains, and against the backdrop of the spectacular Southern Alps. These courses have great facilities, and they love to welcome visitors. 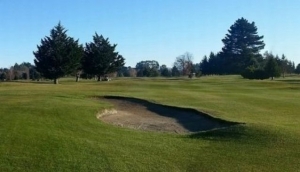 Come and see for yourself why golfers from around the world flock to these parts, at one of Canterbury's impressive international golf courses. We encourage anyone looking to test their golfing abilities on challenging courses, with the prospect of making some new friends along the way, to come and join us. Contrasting courses and the opportunity to enjoy our excellent Clubhouse facilities social atmosphere and our friendly professional staff. We encourage anyone looking to test their golfing abilities on challenging courses, with the prospect of making some new friends along the way, to come and join us.